You must make reservations at least 5 minutes in advance of the time at Au Revoir. Free Private lot in font of the restaurant. A block away from Route 10 : Stop "University & 5th Ave"
A block away from Route 120 : Stop "University & 5th Ave"
We cater your parties. 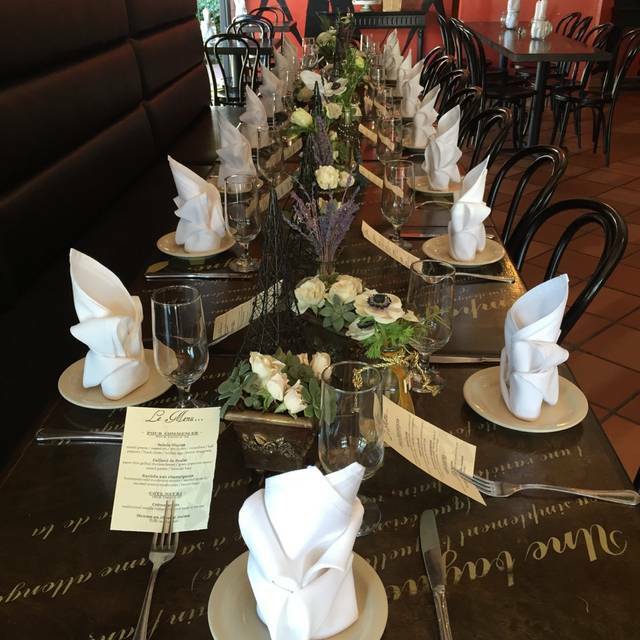 Call us at 619-268-2400 or email us at aurevoirbistrohillcrest@gmail.com for a customized menu and quote. Located in the heart of Hillcrest, Au Revoir Bistro saw it's first day in November 2010, a new born of the Mastellone family (Arrivederci, Il Postino, Buon Appetito, etc etc). Typical Parisian French Bistro, Au Revoir, has a casual ambiance and an atmosphere that transports you directly to the top of the Eiffel Tower. 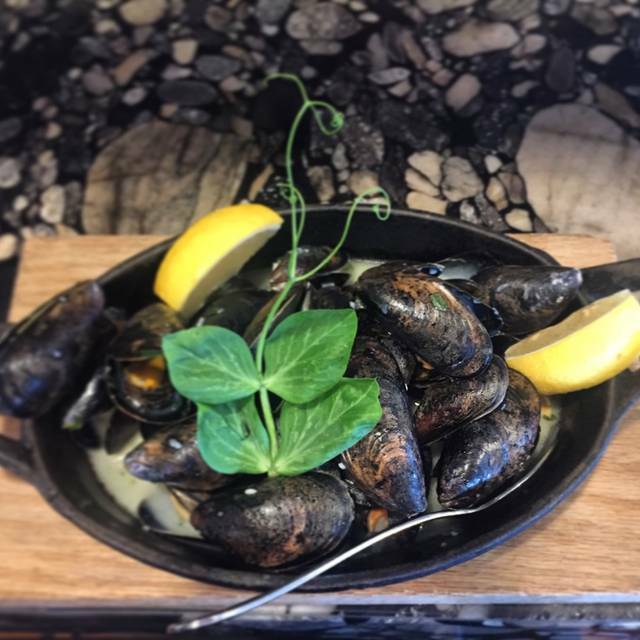 Our French Homemade Cuisine is a perfectly inexpensive recipe, a little bit of tradition, an ounce of modern French cooking inspired by different regions, and a big cup of love from our Chef Dédé and his team. Some of the house specialties are "escargots", "soupe à l'oignon", "boeuf bourguignon", "coq au vin", "frogs' legs", ...Et Voila ! We had a fantastic Easter brunch at Au Revoir. The food is always excellent. It's our favorite restaurant in town. Au Revoir Never disappoints on food, but has been sketchy on service, especially when we’ve visited with a larger group. This time, however, everything was tres bien. Always a great meal and attentive service! 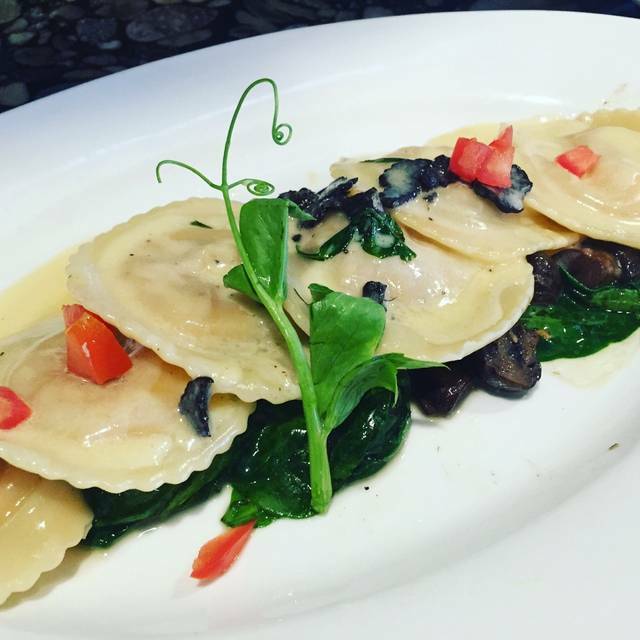 Good service and great value- Tuesday they have prix fixe menu which touches all the bases. Otherwise the menu is very diverse and interesting. This is one of the restaurants that our family loves. We have been going since they opened. 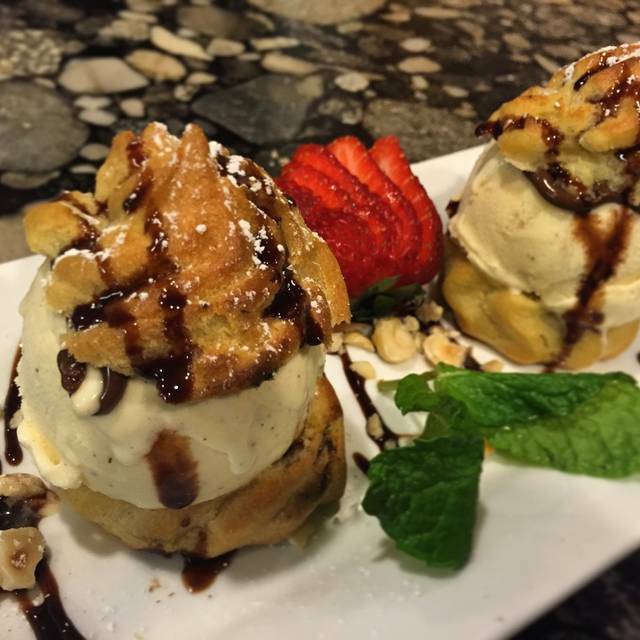 When we need a date night - our choice is Au Revoir !! Wait staff is friendly and knowledgeable. My husband had Duck a l’orange and I had Rack of lamb. Both dishes were excellent and prepared as if we were dining In Paris. We had dinner before a night at the symphony. This is probably the 10th time we have been there. Always introducing the restaurant to friends and neighbors. Food and service were impeccable as usual. Found out about the Tuesday night 4-9 special, which include appetizer, entree and dessert for $30. What a deal. Had a great meal at Au Revoir. Very casual location in an unassuming strip mall location which doesn’t do justice to the high quality French bistro experience that lies within. The service was quick, friendly and informative. The salads are amazingly wonderful... highly recommend the warm goat cheese with mustard vinaigrette. 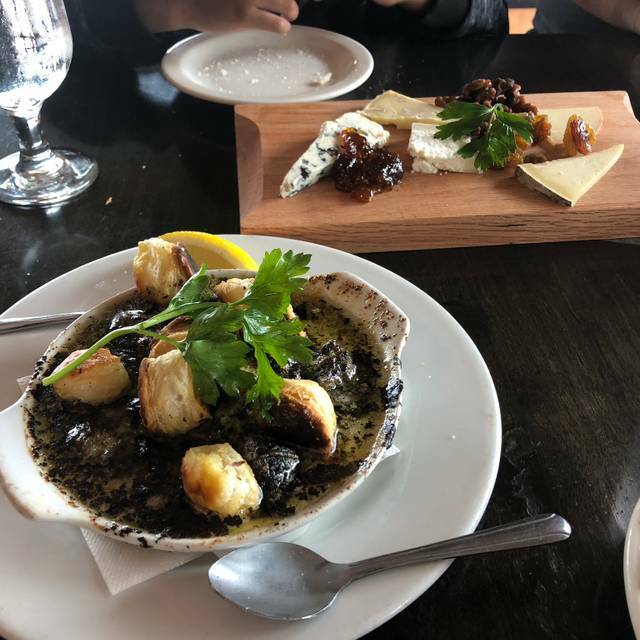 They featured a porcini mushroom dusted diver scallops which may have been the star of the table but the steak frites was a close second. 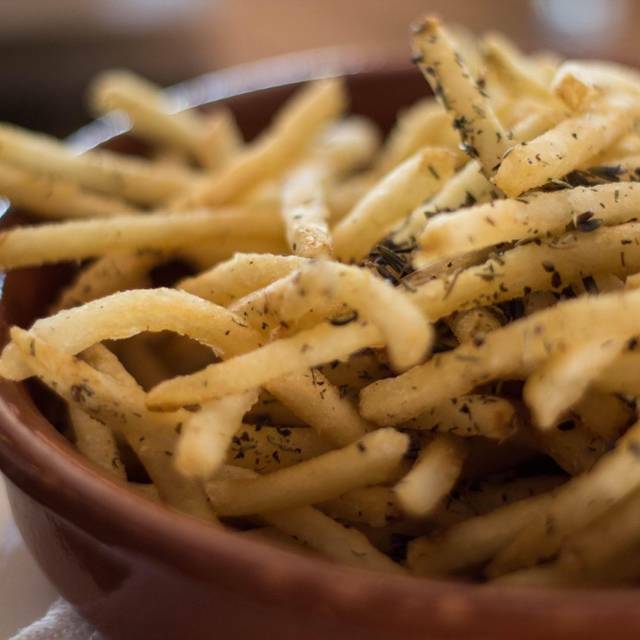 I would put their lavender frites up against any in the world. We will definitely be back the next time we are in the area! Wonderful little neighborhood bistro! We love taking friends and family to Au Revoir. We go for brunch, lunch, dinner, Tuesday night fixed price dinners - it's all delicious. Service is always excellent, nice wine list even though we often bring our own wine. Can't go wrong for any meal here! Can’t believe I haven’t been here before - Won’t make that mistake again. We plan on being regulars here from now on. Could not have been better in any way. As someone who lived & worked in France for several years in Paris & Provence I cannot recommend ‘Au Revoir’ more highly. How they do all that for $30 is a mystery...triple the price in Paris. I took my boyfriend here for his 21st birthday. The staff was very friendly and attentive, but not too attentive. It was my first time having French cuisine, and Au Revoir set the bar pretty high. They gave my boyfriend a free dessert which was nice. Overall, it was outstanding food and service and a nice atmosphere. It was a little pricey for me, but then again I'm a college student living solely on savings. Anyway, great place, would recommend! Great food and service, waiters attentive but not intrusive. Parking is a bit of a problem as their lot is small and often full. Make time to get street parking if needed, and about 3/4 of it is metered. Our food was very good, and nicely presented. Meals are comparable or lower cost than similar restaurants in Hillcrest and north park/city heights area. We keep coming back; it is that good. Always enjoy the ambience and food at Au revoir. Jan our server was extremely attentive and friendly, plus other staff as well. My friends had beef bourginon which they said was delicious. I had salmon and scallops, and enjoyed it very much. We'll be back. This was the 4th or 5th time I've been there and everything was very good every time. It was a very bad experience overall. We went to celebrate my wife's birthday there. That is why I kindly asked if they could add candles on the dessert she would order. I guess they forgot, which is fine. But what made me upset is that the people at the table next to us got some candles for their partner's birthday. This is not equal service for all. Besides the lack of attention, service was cold and slow. We had to request three times the wine menu. No apologies or nothing. As a French person, it made me feel at home, meaning poor service. For the food, the onion soup was barely warm, the $19 planche of charcuterie & cheese was ridiculously small....! 2 tiny slices of cheese and 3 of salami, seriously ?? I'll never go back to this restaurant, and may not use OpenTable anymore. Our server was friendly, knowledgeable and enhanced our visit ! Great server! Good to find a legit French restaurant. My girlfriend ordered the salmon entree; it was served undercooked and came out a decent time after everyone else's at the table. When she received the plate, the salmon and scallops were very undercooked and not even warm. She politely sent the plate back and, for the most part, cooked the salmon and scallops. They did take it back, but the entire contents of the plate were tossed onto the pan, cooked, and tossed back onto the plate with little (basically no) effort to make the dish appetizing and attractive. Unfortunately, the quality has decreased at Au Revoir and I will look elsewhere in the future. Best brunch menu in town. I have recommended to many friends. The value and food is consistently good. Always yummy food! Servers are gracious and fun. One of my top 5 picks in San Diego. It was fabulous! First time at this restaurant and I would highly recommend. Best risotto ever. Wish I hadn't filled up on appetizers - but the calamari and fries are irresistible. Just a really nice experience for our Valentines dinner. It was also our anniversary and they gave us a lovely kir while our table was being cleaned. We will definitely be back. This place is horrible. Bad food and bad service. Stay away! We have been eating at Au Revoir for some time and we are never disappointed. 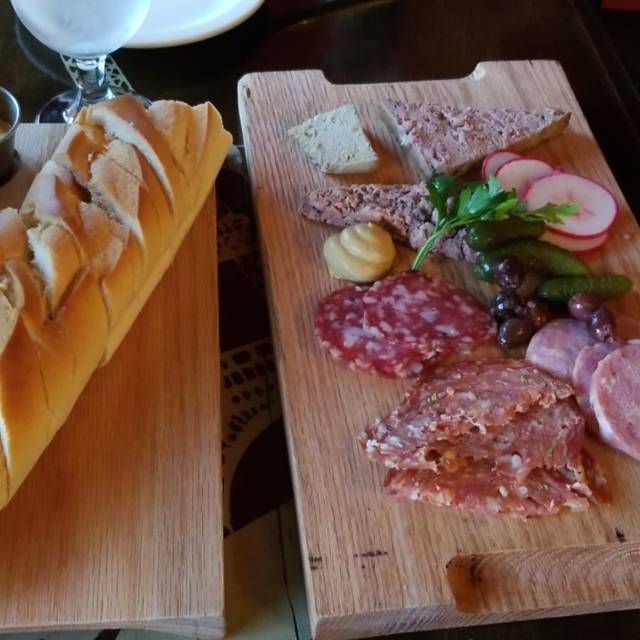 The food is always delicious, the service is great and they have a very reasonable wine selection. Good, solid bistro food with lots of low-key bistro ambiance. You might as well be on the Left Bank. House salad with goat cheese and poached pears and walnuts was one of the best salads I think I've ever eaten. My main course--Mussels Mariniere--was good but not great, the mussels could have--should have--been larger, plumper and moister. My dessert choice--Chocolate Mousse--was, quite simply, to die for. My wife and my two friends each had the Tuesday Special--3 courses for 30 bucks. Each chose a different entree'; all were quite satisfied. (Lots of "Mmm...this is good." ) I have been to Au Revoir many times now. The food is consistent, and good, the service is fine, prices are reasonable, and they have a Happy Hour Monday thru Thursday at which one can get some of the same dishes for $5 bucks--can't beat that. Definitely recommended. Wonderful French bistro. We had the prix fixe menu offered on Tuesdays. My wife had a delicious salad followed by steak and frites, and apple torte with ice cream for dessert. 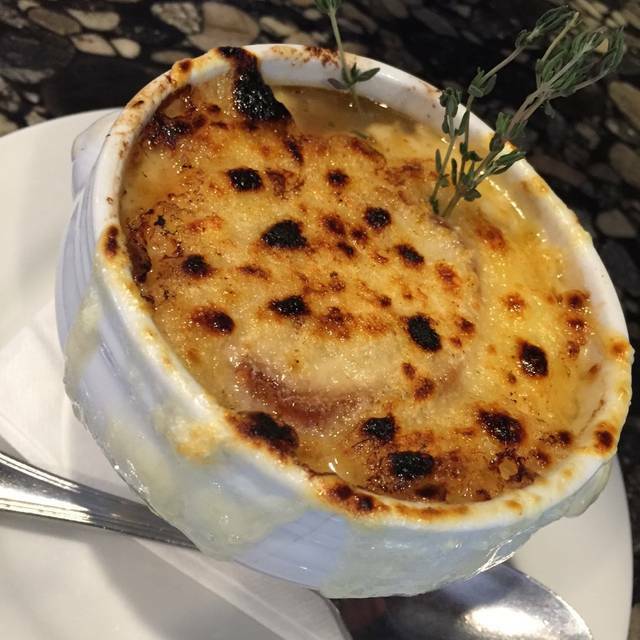 I had the onion soup, duck confit and cream brûlée. The steak and confit were superb. Well above what we have experienced in Paris. The remaining dishes were quite good. All of this for $30 per person. Service was attentive and friendly. Certainly a neighbor gem. The food was average. I expect more from a French bistro. There were 4 of us and everyone really enjoyed what they ordered. With that said... I booked the restaurant because I was craving french onion soup. Something I tend to order often. I liked the flavor of their soup and it wasn't too salty but it was a bit dry, not enough broth. And the presentation could have been better. The Moules were the star of the evening. Everyone loved them. The steak, duck, and hens were also great. Also, if you don't like a lot of dressing, order the salad lightly dressed or dressing on the side. 2 of us had salad and it was a bit soaked. Found this little gem on my way to get lunch next door and decided to try it. Very good and authentic French food, some different options and nice desserts. Came back just a few days later to have brunch, but I'd stick to lunch or dinner in the future...no coissants! Second time here, and exactly as I remembered. Food is well prepared - mussels (white) were a "go back to" dish from the first time we were here and it was the same, as in very good. Brunch this time, so the duck and salmon benedicts were nicely done, and a bit different. Only the eggs/bacon/potatoes dish was a bit plain (well, it's ordinary on the menu), but a little bit more of the "Au Revoir" treatment would have gone a long way. This was a party of 10-1/2, so having only one "ordinary" dish of 9 other excellent meals is still very much a great time. Thanks! Our table was waiting and the food and service were great. I brought an out-of-town guest to Au Revior for a nice dinner with great food and quiet ambiance, suitable for a good long chat. It was a hit from the moment we walked in the door on a Monday evening. Server gave good recommendations on wine and excellent suggestions for our mains. 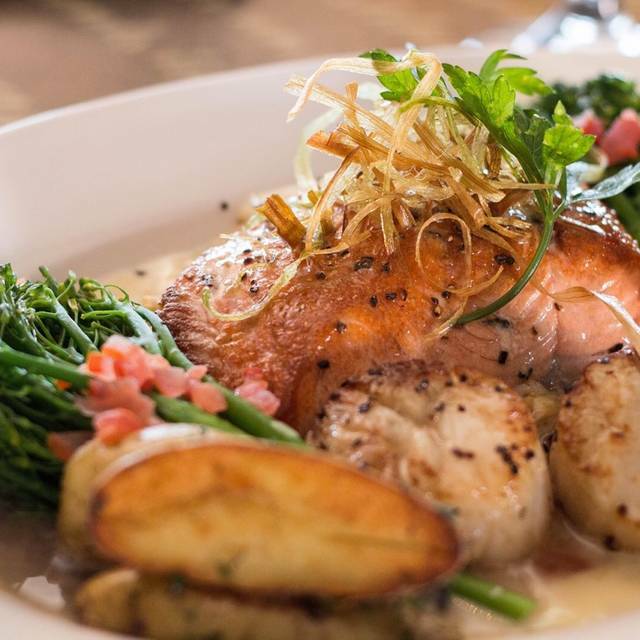 Friend ordered the salmon with two large sea scallops, fingerling potatoes, and delish sauteed spinach. I had the scrumptious butternut squash ravioli (sometimes it can be a bit too sweet at other restaurants, but this dish was perfectly prepared.) We both raved so much about our dishes, we ended up sharing and both were divine. Great ambiance, wonderful service, and really, really great food. Three days later my friend was still raving about that dinner. Absolutely delightful! Staff was incredibly charming and friendly and the food was delicious. The duck confit benedict is amazing. My son had Nutella French toast and loved it. Excellent coffee and bottomless mimosas at brunch for a reasonable price.